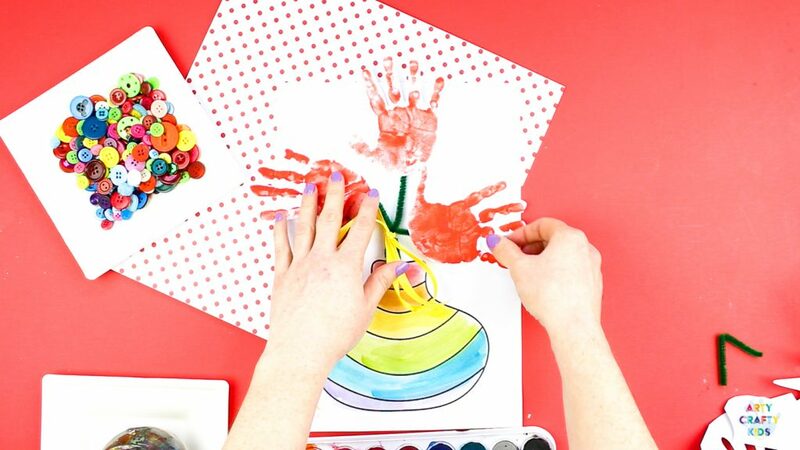 This gorgeous Mother’s Day Handprint Flower Craft is a keeper. Make it, frame it and love it forever! 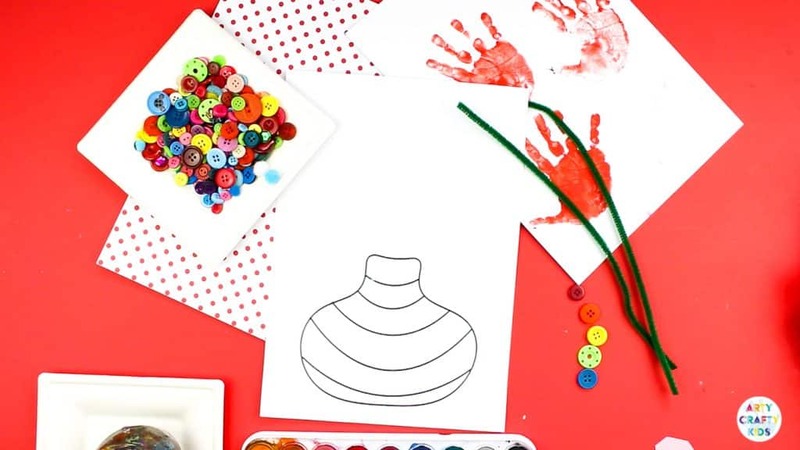 With it’s handy vase template, this simple craft will work perfectly within the classroom and teachers can adapt the process to suit children of all ages. 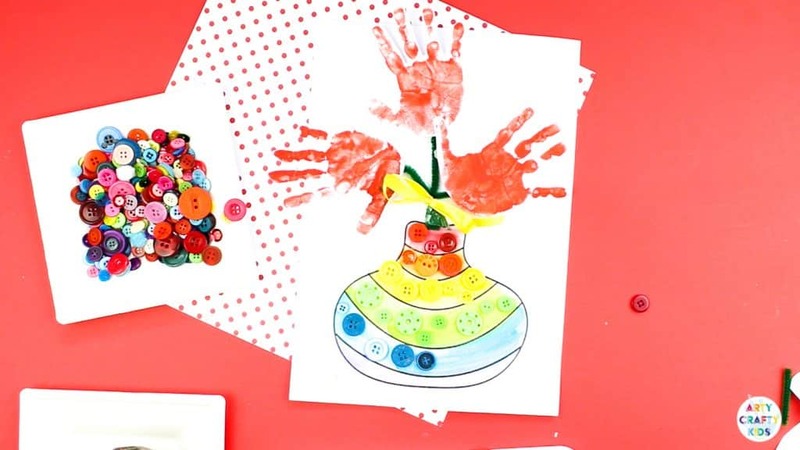 Younger children may find it easier to stamp their little hands directly above vase and simply colour, while older children may follow the tutorial below and choose to add extra texture to their creations – making this adorable Mother’s Day craft their own! 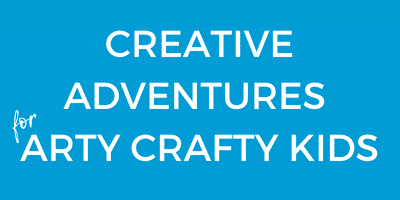 And while we have focused on Mother’s day, I’m sure the craft will suit any special occassion; birthday’s, end of year teacher gifts and valentine’s day. 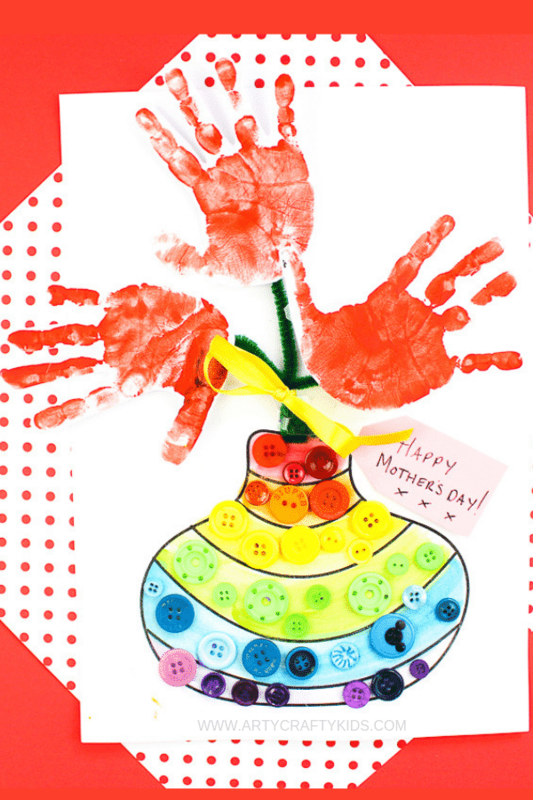 The Mother’s Day Vase Template is exclusively available to Arty Crafty Kids Club members. Already a member? login here! and search Mother’s Day Vase. We also have a further 2 vase designs for members to download and print. Simply search Vase Templates. Download and print the vase template onto white card stock. 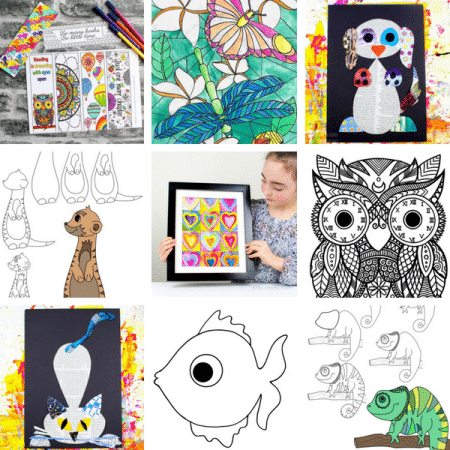 The template can be downloaded from the Arty Crafty Kids members area! 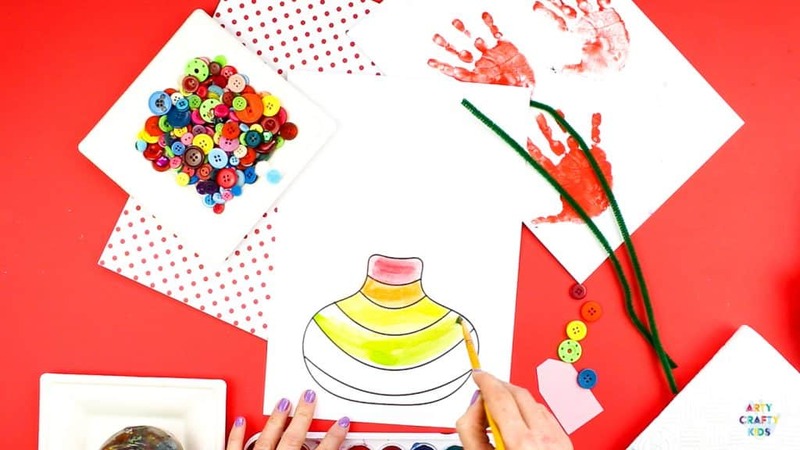 Colour in the vase with a medium of your Arty Crafty Kids choosing. We’ve painted our vase with watercolours. 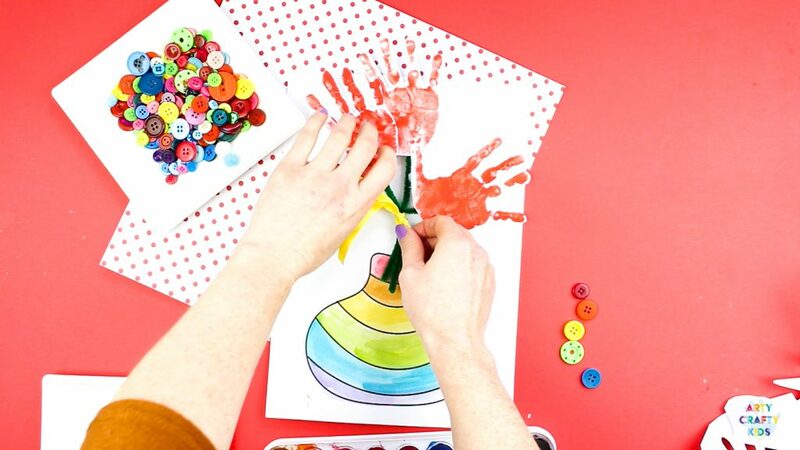 Coat your Arty Crafty Kids hand with a light layer of paint with a brush or sponge. 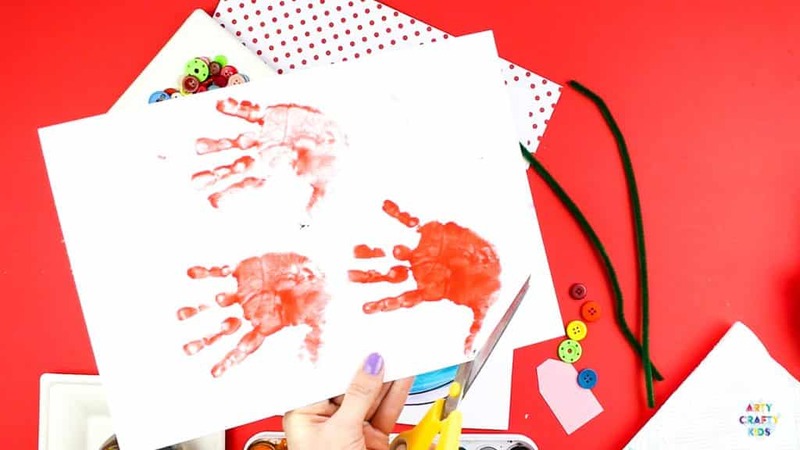 Gently press the hand down onto white card stock and slowly peel the hand away to reveal the print. Leave the prints to dry before cutting them out. Trim the green pipe cleaners to three different lengths. 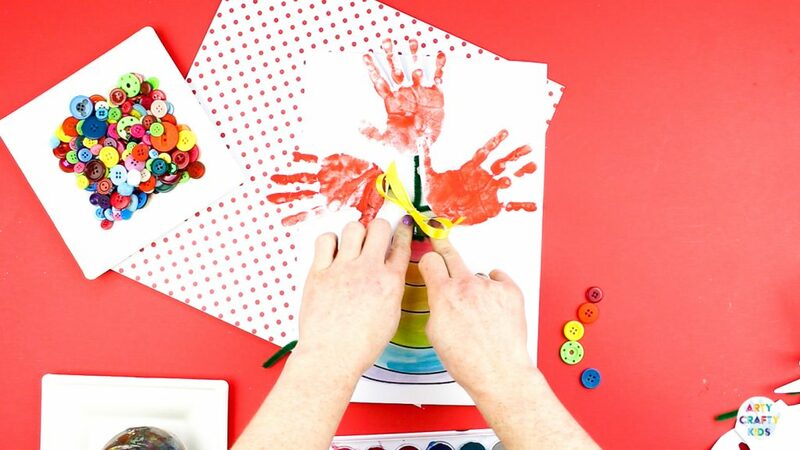 Attach each handprint to one end of the pipe cleaners and secure with sticky tape. 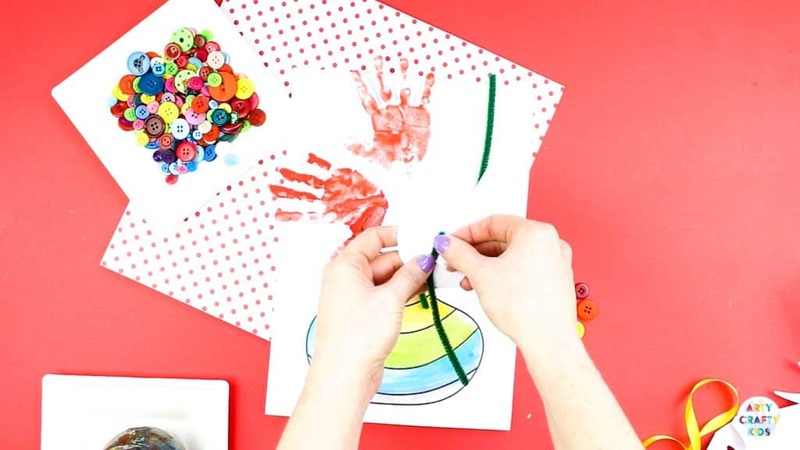 Bunch the handprint flowers together and secure with a ribbon. Cut off any excess pipe cleaner. Arrange the flowers to ensure each print is visible. 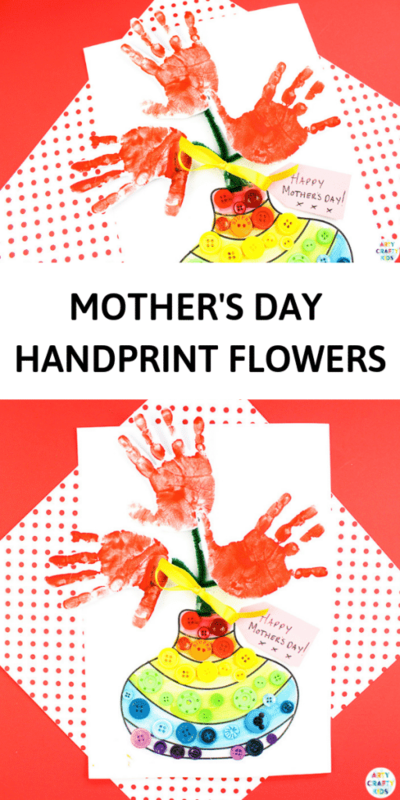 Secure the bunch of handprint flowers with sticky tape. Adjust the ribbon to conceal the tape. Decorative the vase with extra embellishments (bits and bobs from the craft box!). Here we’ve added a colour matching element with buttons. 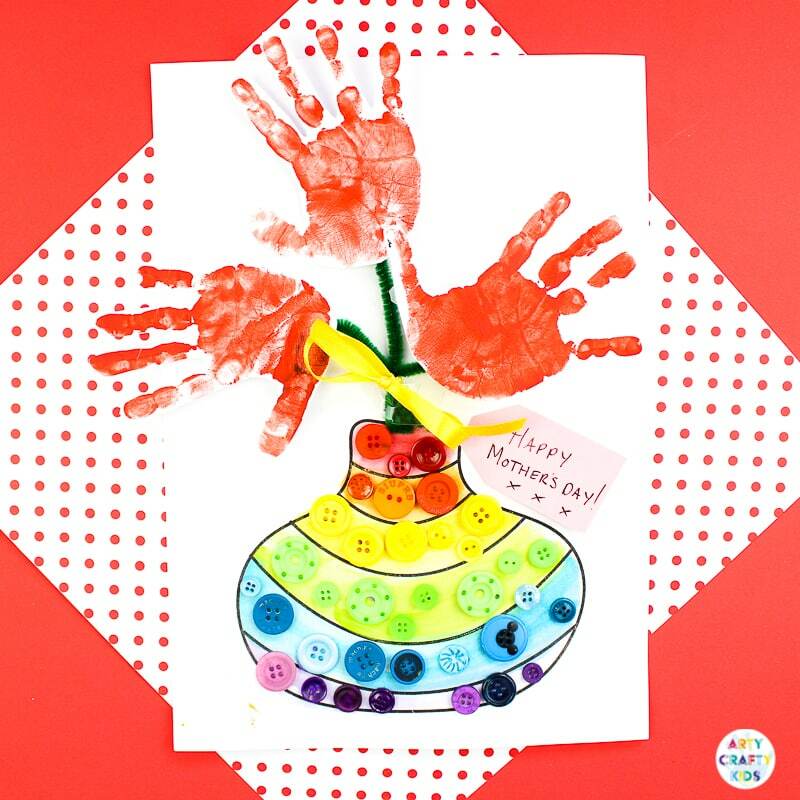 Complete the Mother’s Day Handprint Flower craft with a special and personal message from the Arty Crafty Kids. 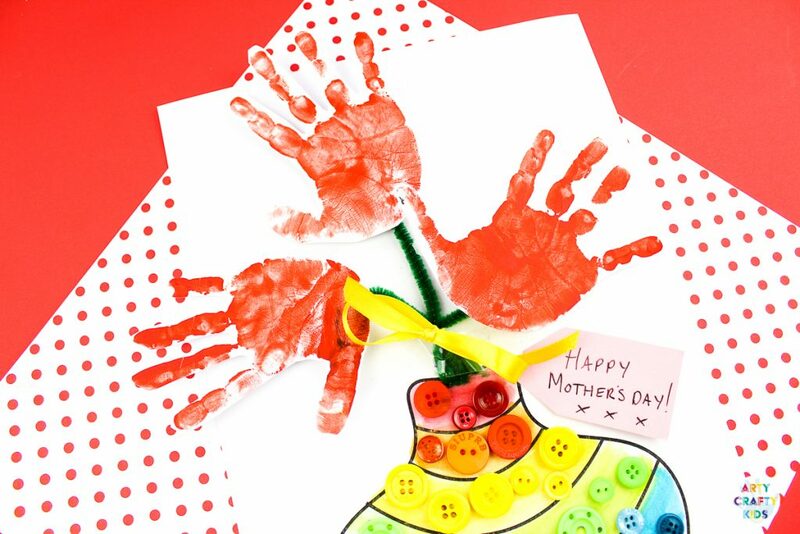 I hope your Arty Crafty Kids enjoy creating this Mother’s Day Handprint Flower craft for their special loved one.